“24 SE7EN” started out as an MC (Master of Ceremony) much like every teenager in the 90′s in and around London and surrounding counties. Primarily finding new flows and mastering the art of those flows and writing lyrics to Drum ‘n’ Bass or Jungle Music, at an extremely fast tempo of around 170 BPM. As a young teenager ”24 SE7EN” would get together with friends and practice their craft ‘back to back’ on the mic. They would normally get together in an empty factory and hook up the Technic 1210′s to some huge 18” Scoop’s with 15” Tweeters, a few D.J’s would spin while about 15 MC’s would go ‘back to back’ seamlessly for hours on end. This proved to be a great asset, enabling the MC’s to ‘SPIT’ lyrics at extreme tempo flawlessly for a long duration. In these years ”24 SE7EN” also was briefly introduced to the Pirate Radio Scene, which later proved to be huge promotion and marketing for said Artist. ”24 SE7EN” recently formed a brand new Record Label ”S2N Records” (Second2NoneRecords) in BCN. ”S2N Records” is currently working on brand new unreleased material with an abundance of Artist’s from all over the world both Domestically and Internationally in all genres of music. 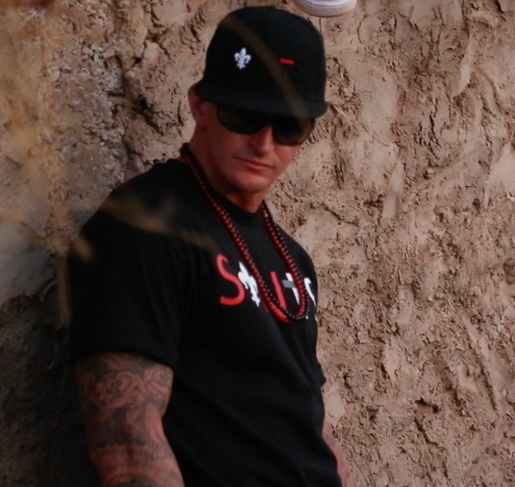 In the spring of 2014 ”24 SE7EN” dropped his first single under his label S2N Records. The track entitled “Eyes Of A Child” which features Alex Buchanan (semi finalist in The Voice UK 2013) & the Voxalba Choir. Since the tracks release its progress has been astonishing, it has been listed on MTV.com , VH1.com, MTV.ca & MuchMusic.com . 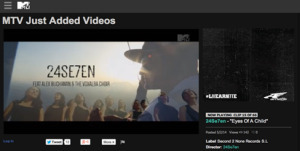 ”24 SE7EN” now has an Artist profile on MTVartists.com . Currently waiting on air dates for broadcast on MTV cable & satellite. ”24 SE7EN” is currently in the studio working on his follow up single which in part will be part of his first studio Album “Pain Breeds Strength”.